Elvis Enthusiasts Unite: I never feel magic unless I am with you. I never feel magic unless I am with you. 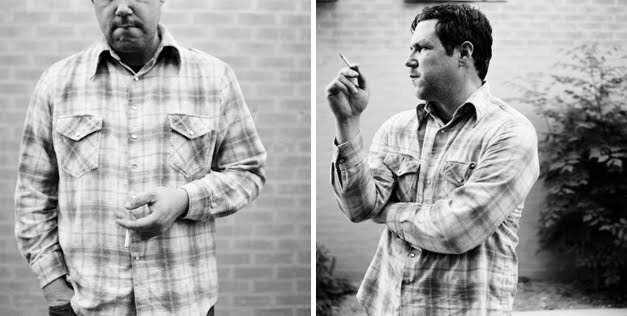 If you need me tonight, I'll be having my mind quietly blown by one Damien Jurado over yonder at The Social. He'll be opening for Shearwater, which are pretty fantastic in their own right (check out the song "The Snow Leopard" or "Red Sea, Black Sea" for all the proof you likely need), but, at least at this point, I'm more excited to hear him do what he does. And I sort of don't want the kids downtown to know him all that well so that, once he starts in with his music, they'll all be floored or thrilled or mad they showed up late, all at once. His songs evoke such equal amounts of pain, beauty and painstaking seriousness ... I just wonder if he'll manage to crack a smile at all. And, as I suppose is wont to happen with those we really enjoy and quietly idolize, I can see some of myself in him and his music, whether I like it or not (and I do). Maybe it has to do with the fact he's from Seattle and, in some of my fondest memories and dreams, that's exactly where I place myself. It's a place I've never lived, yet one that has felt like home, every time I've been. Fun fact: He's rumored to have recorded the entirety of Saint Bartlett in a single take. The whole album. That's 12 songs in a row. I can't even really fathom that one. If you do come by and wanna come over after, I'm putting a black eyed pea chili on that ought to be ready by then. Bring some sour cream, though. I forgot to pick some up.